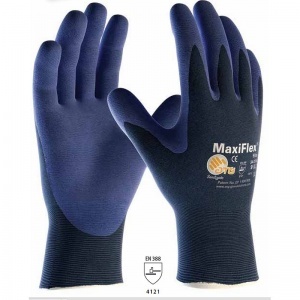 The MaxiFlex Elite Handling Gloves with Coated Palm and Knit Wrist weigh in at a staggering 36% less and 30% thinner than traditional foam nitrile gloves, they deliver a user experience that sets game changing new standards. The MaxiFlex Elite Handling Gloves with Coated Palm and Knit Wrist offer further enhanced comfort through their additional increased breathability which is up to 40% more than similar gloves. The product code for these gloves is 34-274. They are also available in a pack of 12. These were bought to replace the ones we have had for the last 5 years. 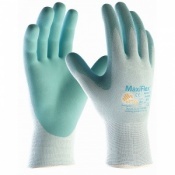 We have been doing a lot of work on our house and the gloves are great for anything and everything. 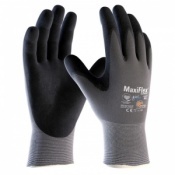 They have a good grip and they're not too bulky so they don't get in the way for fiddlier jobs.